I discovered Krohm several years ago amidst one of the most gloomy parts of my life. 'A World Through Dead Eyes' seemed to be the soundtrack to many overcast days full of contemplation and brooding. A crushing, depressing, and atmospheric void of an album, it got me interested enough to follow Krohm's progress until we were finally treated to its follow-up, 'The Haunting Presence'. What I didn't know was exactly how long this project had been in existence... already over a decade! 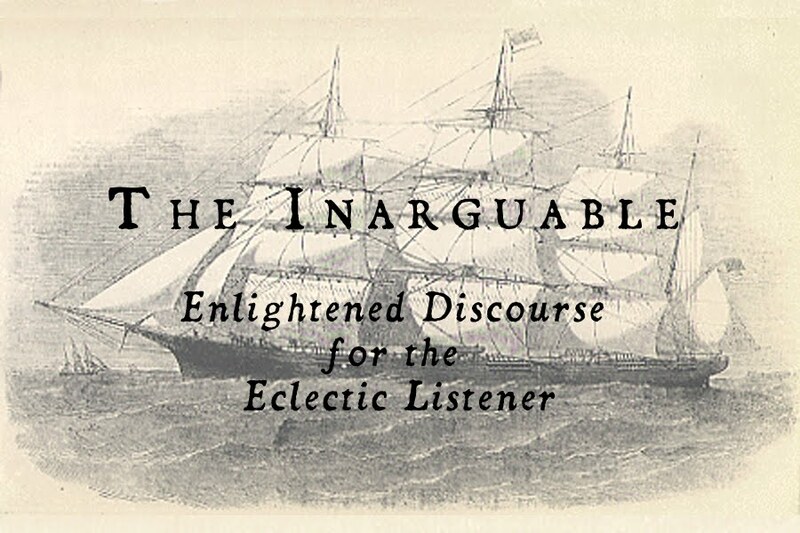 The Inarguable: After the recent, mindblowing full-length 'The Haunting Presence', I understand you have even more recently released a split with Italian band Tenebrae In Perpetuum. I'm aware that you are of Italian background yourself. Numinas: That is correct. I moved to the U.S. from Italy when I was 10 years old. TI: It would be easy for us to presume that your heritage would have some influence in your music, as Krohm seems to be quite a personal project. I have personally never yet been to Italy, but my stays in other surrounding continents have left a mark of inspiration on me. Would you say that this is true for you? N: It has been true for me as well. I have visited my home town of Padova many times (which I do once a year) where I always find a particular inspiration while taking long walks down the old parts of town. TI: I would also like to ask if your American experiences and/or surroundings have had any sway in your musical journey. I currently reside in Connecticut, myself, and have recently realized that you were from this area for a time. Also, I was wondering if there are any American musicians, both of the metal scene and outside of it, you have found any connection to as far as influences go. N: I lived in Connecticut for a short period (about 1-2 years). I don’t think I experience the same type of musical influence from my surroundings in the U.S. as I do when I visit Italy and Europe in general. Living in Seattle I currently find myself being more withdrawn with inspiration coming more from self imposed isolation, long introspective periods and drinking. I have made connections and collaborated with many like minded individuals here in the U.S. (Evoken, Funebrarum, Infester, Drawn and Quartered, M. Nihilist, Abazagorath) who I can now call brothers. Unfortunately most of them are great distances away. TI: What are your thoughts on the whole 'depressive black metal' genre tag? I have seen on some websites that your music has been put into this category time and time again. Typically, I see this genre tag as characterizing any black metal with down-tempo work and Burzum-ish vocal styles... but it seems that your sound has proven to transcend any narrow boundary that the genre tag could entail. N: I appreciate your observation. It’s not that I want to distance myself from this tag as I appreciate many bands in this genre, but I agree with you. Although its aesthetics (audial and visual) remain steeped in black metal I also think that Krohm has outgrown simple categorizations because of the dedication to personal expression that has become a strong part of the music. TI: I suppose the question I have been waiting years to ask is this: Where did the notion to create the Krohm project come from? Many will recognize you as being of a rich musical history within the metal circle, but this solo project of yours has proven time and time again to be very focused and driven in ways that even many bands cannot be. When I first heard 'A World Through Dead Eyes', it struck me as more powerful a record than many full band's hardworking handiworks. N: It came when I left the band Infester back in 1994-95. I picked up a guitar and found myself spending many hours learning how to play it but what I was really doing was writing actual music and songs. I think this is when I discovered how much I enjoyed formulating and recording music all on my own. It became a very special process for me that I am still fine-tuning to this day. I did in fact dedicate a lot of time to all of my recordings and over time I feel as if I have been able to fine tune my ability to build complementing layers of sounds, which is probably why AWTDE might sounds so full to you. TI: Simultaneously, you have also been showing the light of day to your band Vetus Obscurum. After the world was treated to the remarkable debut album, I believe it would be necessary to ask if there are any more future releases for us to anticipate? It has been stated many times that this band was a pre-Krohm project. This gives us the idea that there may be more to hear from Vetus Obscurum that has not yet been released. N: Yes. Other than Drawn and Quartered I am currently focusing the rest of my time on writing a Vetus Obscurum full length album. That means that Krohm is temporarely on hold until this is done. I have also been entertaining the idea of making VO a full band but it unfortunately it has been rather difficult to find a suitable drummer so far. TI: Given how precise and well-thought-out your riffing shows itself to be, it is easy to see why and how you would wish to keep Krohm as a solo endeavor. How is it like to create such vast music by yourself? Are there any tedious processes to overcome when you are your own musical engineer? You have been doing this for over a decade. N: It’s quite a difficult process actually but over the years I have been able to set up certain recording tools at my disposal to simplify it. Going from tape to digital has definitely helped as well as the ability to easily rehearse and build out parts on my own – basically recording and playing back over and over until I get it right. Like most bands, I have songs that just flow and write themselves, while others require more structuring and refining. The worst limitation I face right now is the lack of a real drumset in my studio. I have experimented recording the drums offsite on the Vetus Obscurum EP which has worked somewhat well and if I can make some improvements I might be trying this again on the next Krohm album. 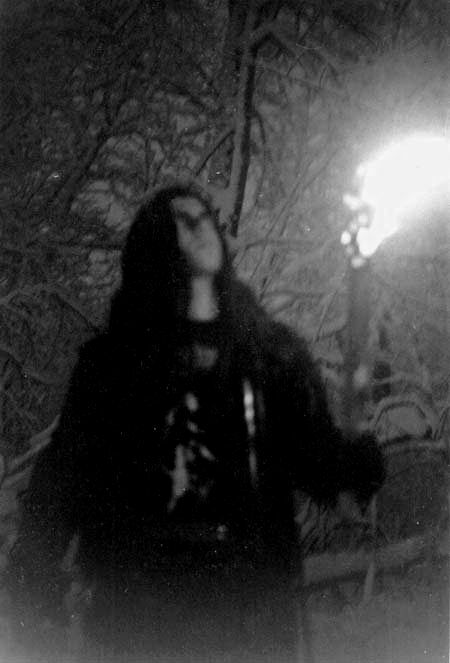 TI: What do you think of the overall attitude of the black metal scene in modern times? It has undergone many changes, but it seems many try to hold true to its original, debatable intentions. Some people have extremist ideas and extremist attitudes, and some just look up those who do. Some scarcely have any extremist views at all. N: I’m the type of person that pays very little attention to it. My honest opinion is that talking about extreme views in black metal belongs to the teenagers. The only important question for me is: is your music extreme? When I think of what black metal was or used to be and how it endures, I think about that feeling in the music that expresses a single- minded dedication to evil, darkness, hate and obscurity. If those things are not coming across in the music then nothing else counts. TI: Your work has always been quite emotive. Without sounding absolutely weepy and cliché, your sound can often be described as bleak and nostalgic, and, at times, otherworldly. How difficult a task is it to channel what you feel or experience and transfer it into a recording? N: I think it takes a lot of honest self-criticism. For me, writing songs is like trying to capture ideas and riffs that I would want to be hearing and when I am lucky, they just form themselves out of this desire without premeditation. In fact, my experience has been that the best riffs always come from improvisation and jamming around without the intention to actually write a riff. TI: When will we see another new Krohm album? The split album was wonderful to have been released. However, we are now itching to hear even more. N: End of 2011. Like I said, I am dedicating my time and energy to Vetus Obscurum as I have much to express on that musical level. Although VO is faster, I think Krohm fans will definitely find some common threads between the music of these two projects. TI: Whereas I would love to speak to you about such things for hours on end, I do realize that there must be a limit to interviews, and on that note, I will bring this to a close. I would like to take this opportunity to sincerely thank you for your multiple offerings of releases, and for churning out this powerful music throughout the years. Would you like to take this opportunity to say anything to the general public? N: Thank you for your interest and support! Find your true will. For more information on this fantastic project, visit Krohm's official webpage.